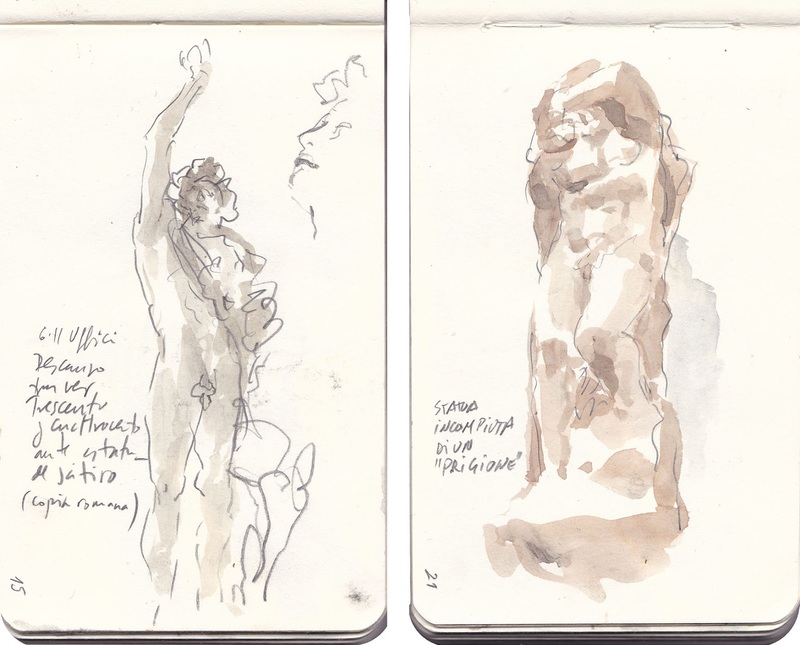 [by Javier de Blas in Florence, Italy] Nov/5th-8th. The first Sundays of the month, national museums are free, so Sunday the 5th we take advantage and arrive in Galleria degli Uffici at 8 o'clock, even though, we have to wait for the line for one hour. A cuple of sketches make my wait easier. Inside, only two more; six hours are not enough to whatch all you wish. After we visit the Accademia, where I am literally abduced by Michaelangelo sculptures, specially for the unfinished ones. Cenacolo del Ghirlandaio opens mondays. 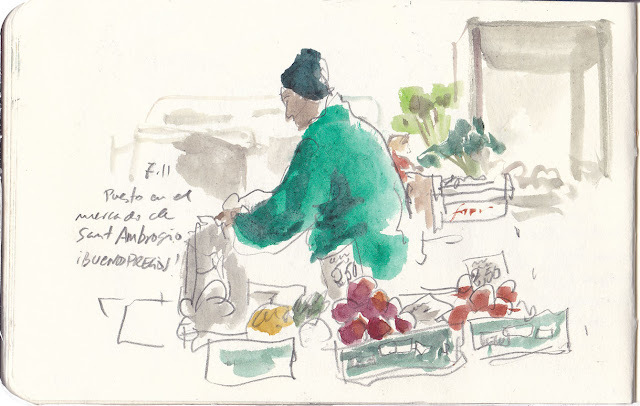 Just a very light couple of sketches there and one in the very “local” Mercado de San Ambrogio.